Peter Cherrie; Mark O'Brien, Derek Foran, Liam Burns, Eoghan Osborne; Paul Walsh (Lorcan Shannon 75), John Mountney, Chris Shields, Gary Shanahan (Stephen McDonnell 78); Barry Conlon, Michael Rafter (Bob McKenna 85). Barry Murphy; Ger O'Brien, Conor Kenna, Kenny Browne, Ian Bermingham; Sean O'Connor, James Chambers (Greg Bolger 40), Jake Carroll, Jake Kelly (Vinny Faherty 84); Chris Forrester (John Russell 68), Christy Fagan. 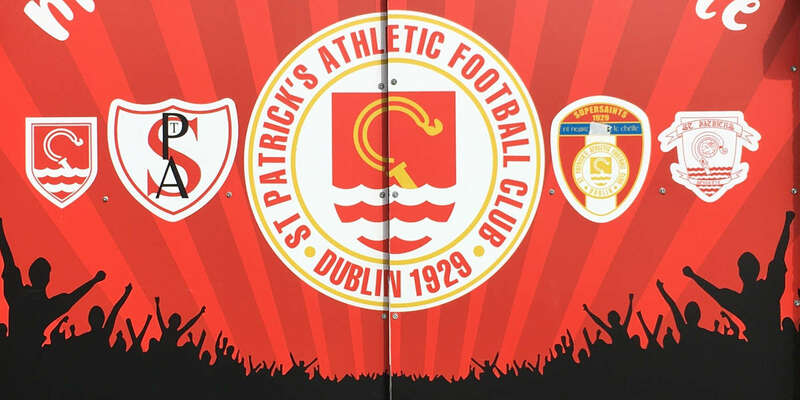 St Patrick's Athletic are one win away from ending a 51-year wait for the FAI Cup after Liam Buckley's men booked their spot in the final thanks to a 3-0 win over Dundalk at Oriel Park. Centre-back Kenny Browne popped up in the 21st minute to give Pat's the lead before Greg Bolger (53) and Sean O'Connor (85) sealed the win. 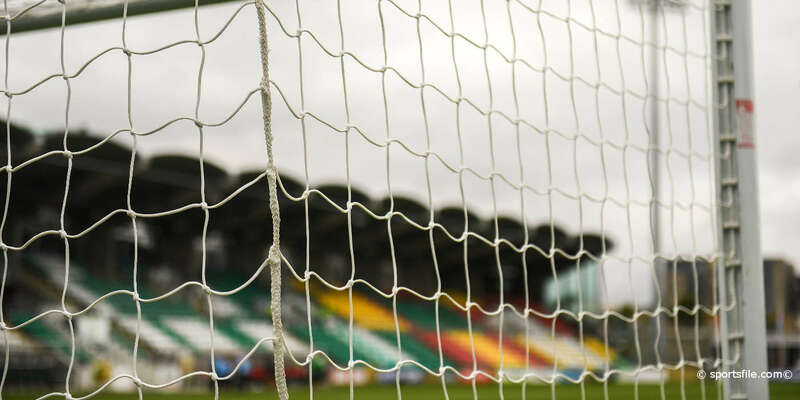 Dundalk struggled to match their opponents at times and they will be left to rue a bad miss by Barry Conlon in the 25th minute that might have changed things. Forced to plan without the suspended Marc Griffin, Dundalk boss Darius Kierans named Conlon in attack alongside Michael Rafter. With Paul Whelan and Stephen Maher cup-tied, Mark O'Brien - whose father, Derek, won the FAI Cup with the Lilywhites in 1977 - was preferred at right-back with Chris Shields and John Mountney forming the upper and lower points of a diamond shaped midfield. 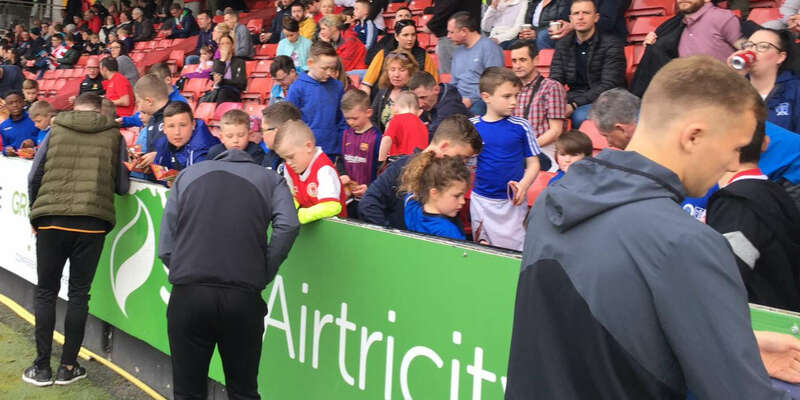 Pat's manager Liam Buckley - who led Sporting Fingal to FAI Cup glory in 2009 - named a strong line up with the likes of Bolger, John Russell, Anto Flood and Aidan Price among the names on their bench. Vinny Faherty, who scored a hat-trick in their previous outing against UCD, also had to settle for a place amongst the substitutes. The visitors, as expected, enjoyed most of the possession early on without testing Peter Cherrie in the Dundalk goals. The youthful hosts took time to settle but a nice interchange between Michael Rafter and John Mountney that ended with the midfielder dragging his effort wide from 20-yards gave them encouragement. Pat's threatened in the 16th minute. Christy Fagan got away from Paul Walsh all too easily to set up Chris Forrester but Liam Burns was on hand to make a timely block before he could pull the trigger. The Saints drew first blood five minutes later. Cherrie did brilliantly to tip a Sean O'Connor free-kick over the bar from 25-yards. Slack defending cost the Lilywhites from the resulting corner as Forrester was given too much time to knock Ger O'Brien's delivery down for centre-back Kenny Browne to knock home. Any fears that the home side might buckle were allayed as they showed positive signs of recovery. Michael Rafter tested Barry Murphy in the 23rd minute when he ran onto a raking Chris Shields pass to cut inside Browne and get his shot away. And two minutes later the hosts should have been level. Mountney's free-kick to the back post found Conlon in acres of space, five-yards out, but he headed wide at the near post despite having the full goal to aim at. Pat's took their lead into the break but they suffered a blow in the 40th minute when the influential James Chambers was forced to limp off with an injury. Chambers was replaced by Greg Bolger - who spent last season with Dundalk - and the midfielder played his part by scoring the second goal for Pat's in the 63rd minute. Sean O'Connor was the provider, breaking in behind Eoghan Osborne deliver a fantastic cross to the six-yard box and Bolger was on hand to head home from close range, sparking huge celebrations in the away section. To their credit, Dundalk kept plugging away and the excellent John Mountney set up Michael Rafter and Gary Shanahan in quick succession; Rafter firing just over and Shanahan stopped by a brilliant Conor Kenna tackle. The game was put to bed with five minutes to go. Cherrie raced from his penalty area to head a through ball clear but O'Connor pounced on the clearance and rolled the ball into an empty net to secure Pat's their date at the Aviva Stadium on November 4.